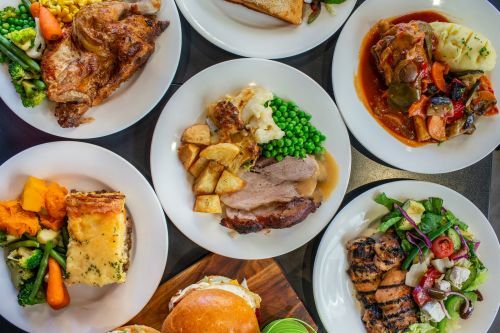 Menulog delivers for Spit Roast - Potts Point so you'll be able to track your courier on a map. All the burgers are served with Chips and 375ml Can of Drink. Please write on the note if you like Peri Peri chilli on your burger. Lettuce, BBQ sauce, cheese, tomato, bacon and egg. Lettuce, mayo, tomato, onion, beetroot, cheese, pineapple, bacon and egg. Lettuce, BBQ sauce, cheese, tomato, onion, pineapple, beetroot, bacon and egg. Lettuce, mayo, double fillet, cheese, tomato, onion and bacon. Lettuce, BBQ sauce, double pattie, double cheese, bacon and onion. Combo comes with Chips and Can of 375ml Soft Drink for additioal $7.50. Upsize your drink to 600ml or others add an additional $2.80. (Should add up $10.30 with the burger). Served with one choice of your protein, salad or vegetable, chips, 375ml cans and a tub of gravy. 1 x Whole chicken, 1 x Family Size Chips, 1 x Large Salad or Vegetables. Served with two choice of vegetable, tub of gravy and 375ml drink. Your choice of filling served on a freshly baked bread rolls.